President Obama has repeatedly warned of the corrosive effect that hidden corporate campaign donations could have in election campaigns, following a Supreme Court decision this year that for the first time allows companies, labor unions and other special interests to spend unlimited amounts of money on behalf of candidates and causes. The ruling has already stirred controversy for big-box retailer Target (TGT) and media-giant News Corp. (NWS) after the companies made outsized contributions on behalf of Republican candidates. While that gush of money can be an effective new tool to sway elections, conservative business leaders are also using a more traditional tactic -- jawboning -- to appeal to voters to back pro-business GOP office seekers. "Jobs Will Not Be Created Here"
One of them, Intel (INTC) Chief Executive Paul Otellini, delivered a speech last week in tony Aspen, Colo., offering a depressing set of observations about the economy and the Obama administration, CNET reported. Unless government policies are altered, Otellini predicted: "The next big thing will not be invented here. Jobs will not be created here." In addition, he said, the U.S. legal environment has become so hostile to business that there is likely to be "an inevitable erosion and shift of wealth, much like we're seeing today in Europe -- this is the bitter truth." 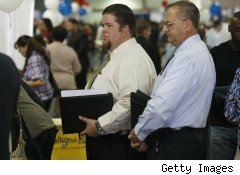 Another businessman, Michael Fleischer, president of New Jersey-based Bogen Communications International (BOGN), showed similar disdain for Obama in a recent op-ed in The Wall Street Journal (subscription required), in explaining why he isn't hiring new workers at a time when the country desperately needs new jobs. When all costs are tallied, Fleischer explained, it costs $74,000 to put $44,000 in the pocket of a typical worker (whom he called "Sally") and to provide her $12,000 in benefits. Taking into account both federal and state taxes, government imposes a 33% surtax on Sally's job each year, he said. Fleischer concluded his piece this way: "A life in business is filled with uncertainties, but I can be quite sure that every time I hire someone, my obligations to the government go up. From where I sit, the government's message is unmistakable: Creating a new job carries a punishing price." Of course, Otellini and Fleischer aren't saying anything new. Businesses large and small have complained for years about the cost of doing business in the U.S. Further, it's not unusual for them to use the cost associated with hiring and employing moderate-income workers to illustrate their points. Such criticism, however, is just one side of the argument, says Christy Huebner Caridi, director of the Marist College Bureau of Economic Research in Poughkeepsie, N.Y.
"What they're not doing is putting it in context," she says. "If you're talking about cost, you really need to consider the output, or the productivity, of the workers." 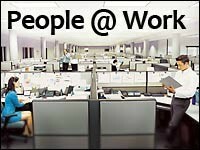 A statistic called unit labor cost, routinely used by economists and reported in government data, gives insight into how onerous the price tag of employing workers today truly is. Unit labor costs include such things as contributions to worker's compensation, disability, unemployment insurance, social security -- all taxes placed on employers. And here's the kicker: Despite all the bellyaching by business leaders, labor unit costs for U.S. employers have decreased dramatically during the last 20 years, largely due to increases in worker productivity. In other words, the cost of employing workers relative to how much they produce has been falling, Caridi says -- and has been for a long time. For example, in the period from 1968 to 1987, when inflation and oil shocks were routine features of the U.S. economy, unit labor costs rose on average 5.6% a year. In the current era, 1998 to 2009, the statistic has risen just 1.7% a year on average, on par with the increases seen during the two robust decades following the end of World War II. Still, Caridi notes that any cost -- including hiring and employing workers -- is going to affect businesses' bottom line. Also, the stagnating recovery has created uncertainty, "one of the biggest problems in any business," she says. No employer wants to hire and train new employees only to find that they aren't producing enough sales to justify the salaries paid to them. Also neglected are costs related to golden parachutes of failed executives, such as Hewlett-Packard's (HPQ) Mark Hurd, who, despite being fired, walked away with $37 million (500 Sallys). Then there are the costs associated with executive travel and relocation. Corporations are correct in that they are overtaxed, Caridi says. But in hanging the argument on the backs of everyday workers without ever taking into consideration the millions spent on executive pay and perks, business leaders aren't just being less than forthcoming, she says. "The truth is it's very mean-spirited."